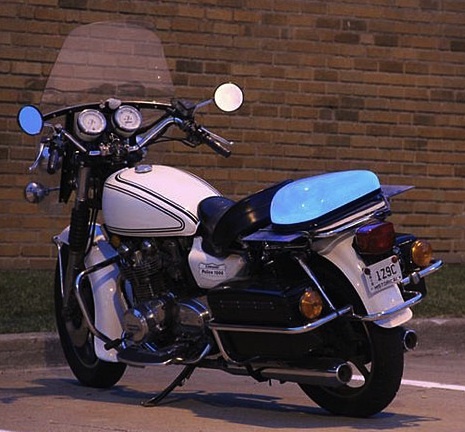 LumiLor electroluminescent paint can light up your entire motorcycle with the flick of a switch. Darkside Scientific has a patent-pending coating process that will illuminate when energized by an electrical current. The company’s patent-pending coating technology, Lumilor Electroluminescent Paint, is applicable to almost any surface and is claimed to light up with the ease of flicking a switch. The new collaboration, called Sith CycleWerks, will help the start-up company further develop and promote the electroluminescent technology. The campaign targets companies and corporations looking for a unique way to brand their product like painting their logo on the Sith CycleWerks Heist. Darkside Scientific said it will donate $2500 of the $15,000 price tag to the Wounded Warriors Project. The LumiLor electroluminescent coating system is used with simple driver electronics to light up any surface. It is based on “aqueous-based polymer technologies” to achieve the effect and requires no special tools or expensive equipment to apply. Darkside Scientific claims it can be “custom-animated to flash in sequenced, strobed, and sound activated modes” and says it can be applied to metal, wood, fiberglass and plastics. The company is touting its ability to be applied to a variety of shapes and compound curves as well, a useful fact for its application on motorcycles. LumiLor is claimed to be energy efficient, powered by a touch of electrical current, and is safe and cool to the touch. Readers of Richard Morgan's 2003 novel Altered Carbon may recall the illuminium lighting. Via Motorcycle USA; thanks to Zac Hunter for the tip and reference for this story.